CSR | Ever Rich | Enriches Your Ever Trip! Ever Rich Duty Free Shop, a dominant travel retailer, has provided sales and services at Taiwan's major international airports as well as on the surrounding islands. Since our establishment in 1995, Ever Rich has upheld the business DNA - Integrity, Professionalism, Innovation and Philanthropy. In the belief that corporations have the responsibility for the society, we believe serving the community and benefiting the public are our cores of business. Ever Rich hopes to create a world woven by societal corporations and corporate societies. To fulfill the belief, Ever Rich volunteered the assessment of corporate social responsibility (CSR) without being required by the government. 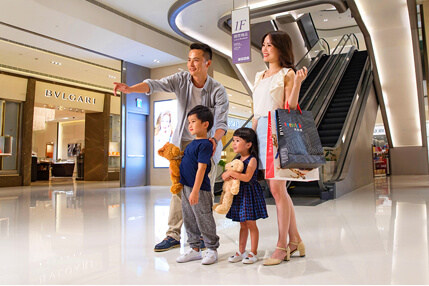 In 2014, Ever Rich made the goal to meet GRI G3.1 Standard; and with our 'Ever Rich CSR Report 2014', a third-party notarization, Bureau Veritas, certified us under AA1000AS Standard and made Ever Rich the first department store retailer in Taiwan and the first travel retailer in the world to receive CSR certification. Ever Rich believes in taking the role of responsibility in our community. To meet the standards of Global Reporting Initiative (GRI) G4 Guideline, published in May, 2013 and United Nations Global Compact (UNGC), 'Ever Rich CSR Report 2017' by Ever Rich Duty Free Shop has been edited and revised using GRI G4 Guideline and its principal standards. The report emphasizes on communication between Ever Rich Duty Free Shop and relevant stakeholders, demonstrates strategies for environmental responsibility and corporate sustainability and encourages business transparency and an open communication. The published report and its relevant information are fact-checked and verified by our relevant departments to the best ability. To ensure the accuracy of the published report, Ever Rich has entrusted an authorized third party to verify the integrity of the report. The report is published on the website (www.everrich-group.com) for the viewing.